The (((Noiseblocker))) BlackSilent series is an inexpensive and reliable ultra silent fan series. The fans are developed in Germany and feature extremely quiet operation as well as high reliability. 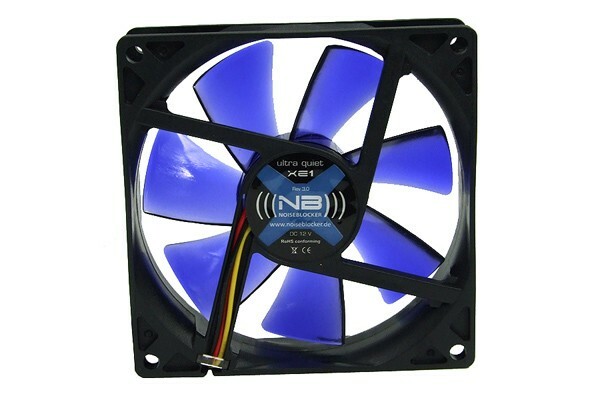 Other than 95% of the so called ''fan brands'' (((Noiseblocker))) develops the fans themselves and uses high quality parts even in their ''cheap'' fans. The BlackSilent fans are simple and solid fans with quality components that naturally have their price. Different fom other competitors we give only realistic and serious technical data. With the Rev. 3 of the BlackSilent series you purchase a reliable product optimized for silent operation. From now on we include NB-Slics (vibration absorbers) with the 80&92mm retail fans as well as screws with the 120mm versions. The fans are available in the sizes 80, 92 and 120mm. There are 2 versions of each size: The version 1 is almost inaudible and intended for standard systems, the version 2 is almost not noticeable in operation and developed for more powerful systems.